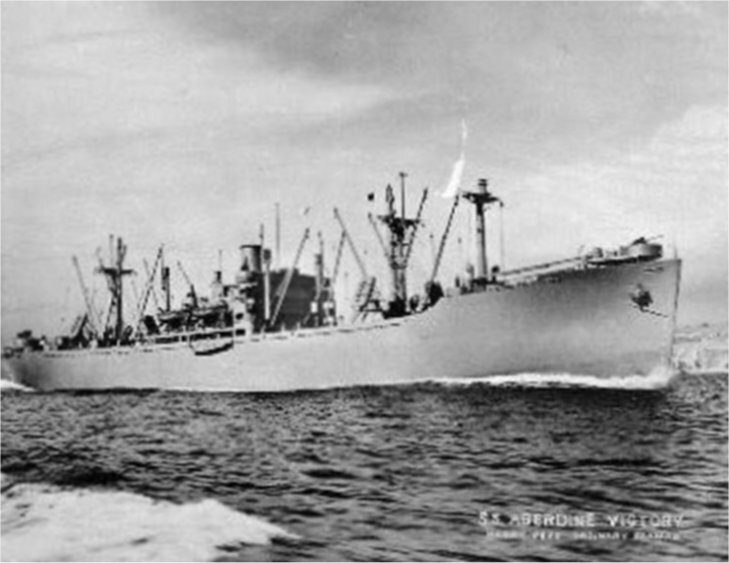 Laid down, 20 April 1944, as SS Aberdeen Victory, a Maritime Commission type (VC2-S-AP3) hull, under Maritime Commission contract (MCV hull 110), at Oregon Shipbuilding Corp, Portland, OR. Contracted to Waterman Steamship Co. 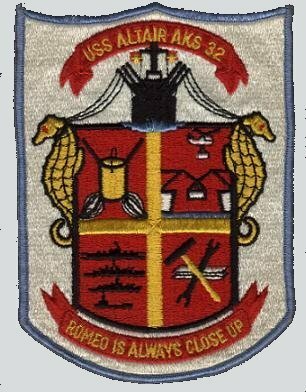 Returned to the Maritime Commission, circa 1945-1946, for lay up in the National Defense Reserve Fleet, Suisun Bay, Benecia, CA. 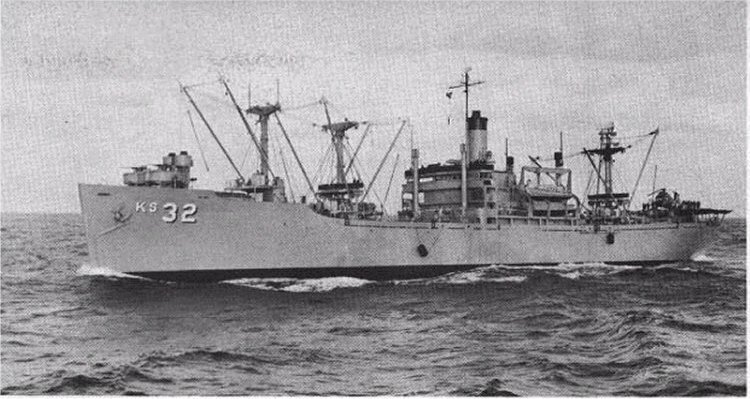 Commissioned Cargo Ship USS Altair (AK-257), 31 January 1952, at Baltimore, MD., CDR. George J. Largess USN in command. Converted at Maryland Drydock Co., Baltimore, MD. 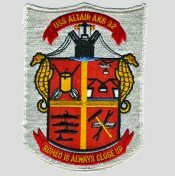 Recommissioned, USS Altair (AKS-32), 15 December, 1953, at Norfolk, VA.
Decommissioned, 2 May 1969, at Portsmouth, VA. 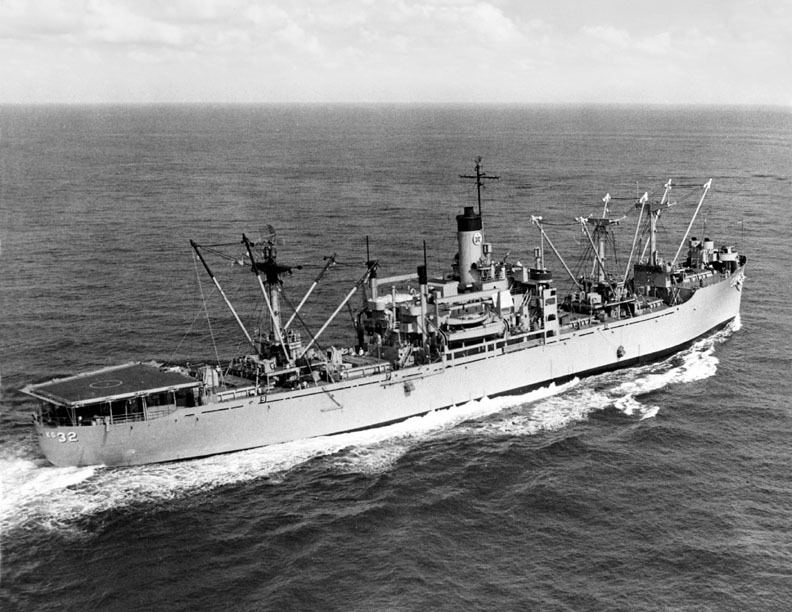 Custody transferred to MARAD, 1 May 1973, for lay up in the National Defense Reserve Fleet James River, Fort Eustis, VA. 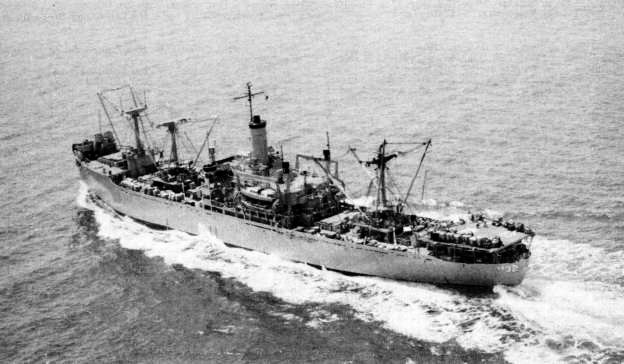 Final Disposition, sold for scrapping, 31 January 1975, to Luria Brothers & Co., Philadelphia, PA.
57k SS Aberdeen Victory, under way, circa June 1944, probably near Portland, OR. Richard Miller BMCS USNR Ret. 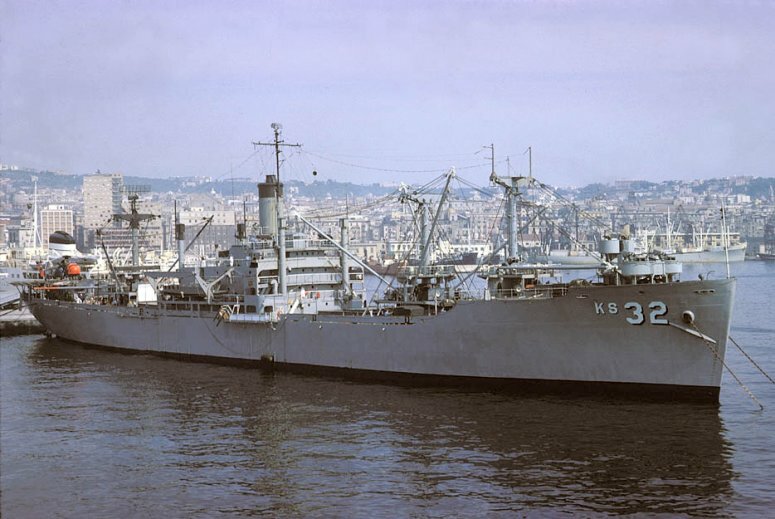 80k USS Altair (AKS-32), underway, circa 1959 or later (note the helicopter flight deck on her fantail which was added in 1959) place unknown. US Navy photo from "All Hands" magazine, October 1962 Joe Radigan MACM USN Ret. 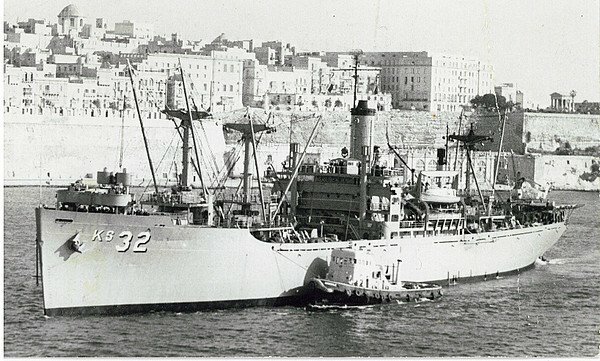 85k USS Altair (AKS-32) entering a Mediterranean port, date and location unknown. Richard Miller BMCS USNR Ret. 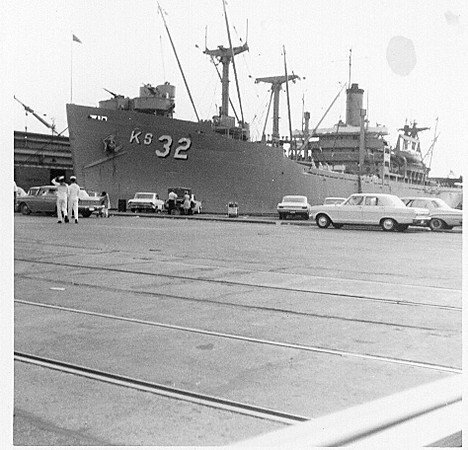 54k USS Altair (AKS-32) moored pierside at NOB Norfolk, VA., circa 1963. Richard Miller BMCS USNR Ret. 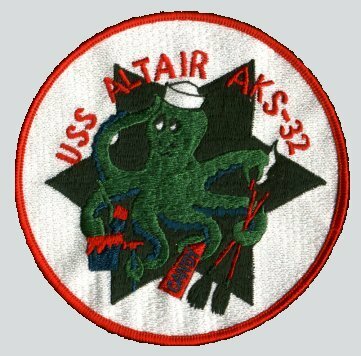 72k USS Altair (AKS-32) underway in the Mediterranean Sea. 196k USS Nitro (AE 23) at right conducts an underway replenishment of ammunition with USS Forrestal (CV-59) while USS Altair (AKS-32) at left simultaneously conducts an underway replenishment of general stores. Tyrrhenian Sea, 8 January 1965. 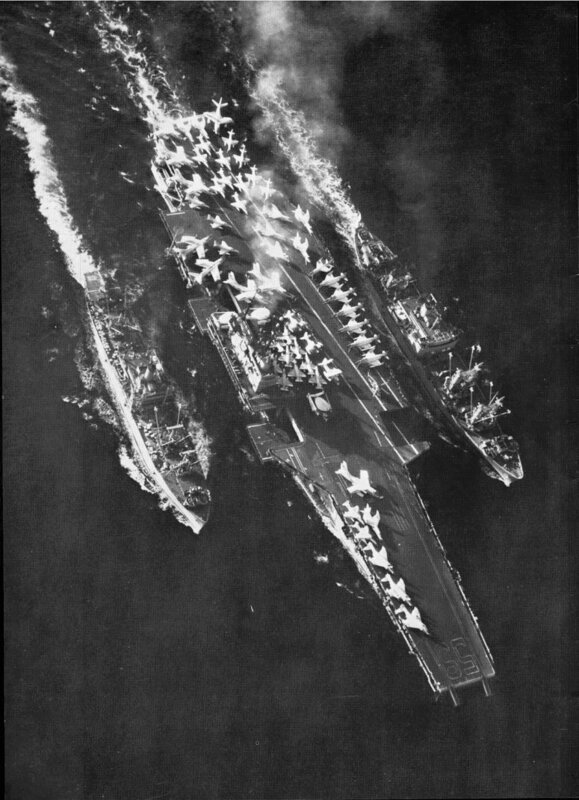 U.S. Navy photo from All Hands magazine, July 1965. (Thanks to Ken Killmeyer, USS Forrestal Association Historian, who found out where and when the photo had been taken.) Joe Radigan MACM USN Ret. 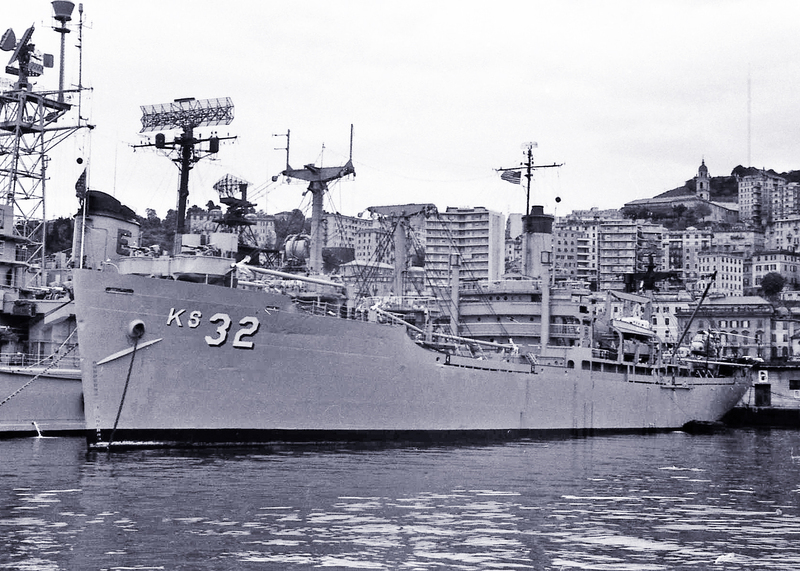 48k USS Altair (AKS-32) underway during 1966; from the appearance of her decks and helicopter landing pad, aft, she is ready to commence an underway replenishment. Her "Victory Ship" lines are readily apparent in this aerial oblique view. 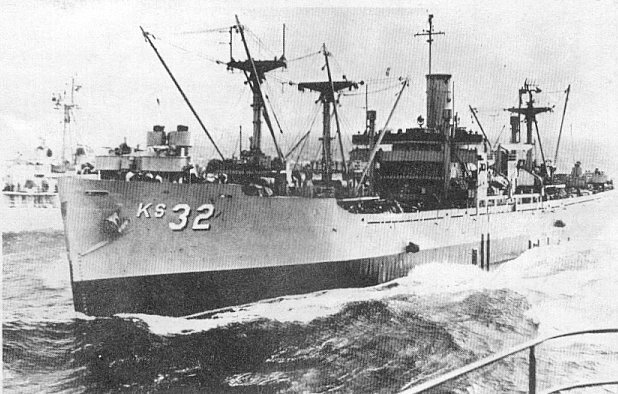 130k USS Altair (AKS-32) underway, date and location unknown. Richard Miller BMCS USNR Ret.